This is going on in the Pink household right now! The pox!!! Elle woke boxing day and this was what we were greeted by. We have had to postpone our family christmas plans in favour for lots of cuddles under blankets and camoline lotion. Mia just has the one spot on her forehead but i have a feeling this time next week, she will be covered in spots too! Nooo! Oh it looks so painful, hope you all get better super fast!! Poor little thing. I'm glad she is improving now though. 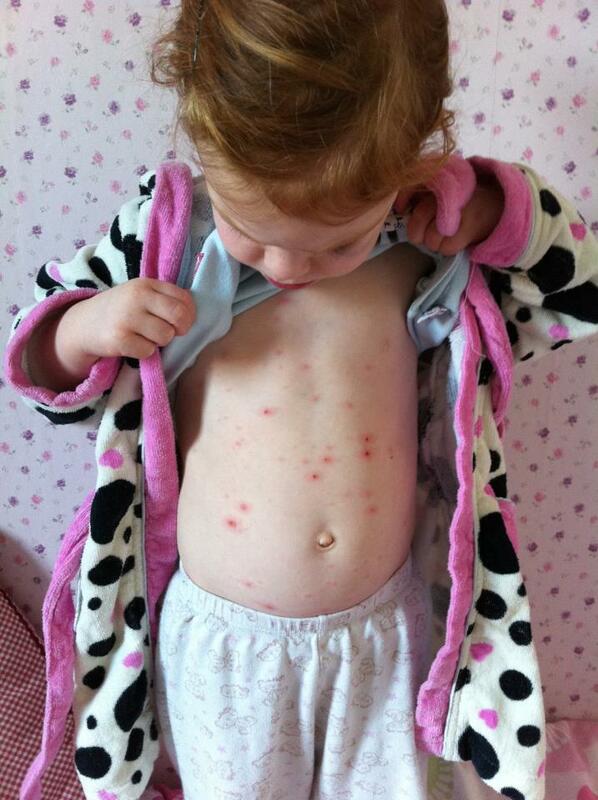 Chicken pox is no joke, it really isn't! Calamine Lotion is a life saver; aloe vera gel is pretty nifty too! Maybe Mia won't get many spots - some babies don't really. But hopefully she'll have immunity now and not get it again later.